Below we have compiled a 2019 up-to-date guide to Machu Picchu, one of the most inspiring archaeological sites ever discovered. People from all over the world gather in Peru to revel in its beauty and grandeur. Machu Picchu is only accessible from Cusco. Cusco is accessible via air or land. 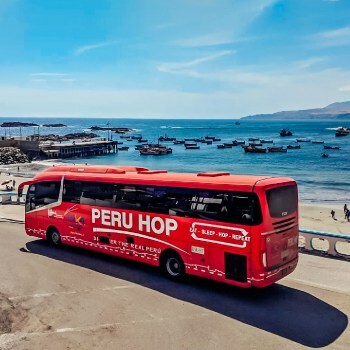 If travelling by land, Peru Hop have buses in all directions to and from Cusco, so make sure to combine your Machu Picchu experience with 1 of our world famous hop on hop off passes! Quick Tip: Peru Hop makes it easy to add a Machu Pichu trip to any pass that stops in Cusco. Machu Picchu is the site of an ancient Inca city, high in the Andes of Peru. Located at 2430m, the site is often referred to as “The Lost City of the Incas”. It’s one of the most famous and spectacular sets of ruins in the world. A UNESCO World Heritage Site since 1983, Machu Picchu receives over one million visitors per year and is one of the New 7 Wonders of the World. The access point to Machu Picchu is the town of Aguas Calientes (also known as Machu Picchu Pueblo). This little town has no road access from any surrounding towns, so it’s not reachable by car. It is necessary to use a combination of transport methods including train, car, or walking.Once there, Machu Picchu lies at the top of the mountain above Aguas Calientes. You can choose between a hike up or a bus to Machu Picchu. To access the site, you must have a ticket for Machu Picchu – which are available online in advance or from various ticket offices in Cusco. Machu Picchu tickets are NOT sold at the entrance gate and are limited to 2500 per day, with entrance to Huayna Picchu and Montaña Machu Picchu each being further limited to 400 per day. During peak times of the year, tickets to Machu Picchu and the special areas of Huayna Picchu and Montaña Machu Picchu can sell out weeks in advance. For this reason, it’s highly recommended to buy your Machu Picchu tickets in advance. Visit our guide to Machu Picchu tickets for more information about how to get your tickets. The highest peaked mountain of Machu Picchu with Inca structures on the top at 2,720m. The hike takes about 50 minutes to reach the top of the mountain. The scenery from the summit is unreal, you can see the main square of Machu Picchu about 600 meters down and the Urubamba canyon all around. 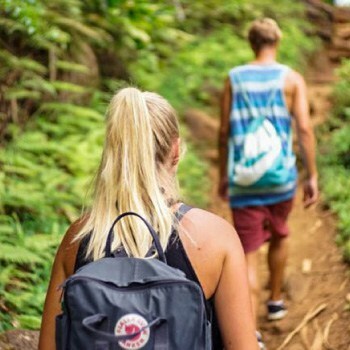 The hike is tough and a decent level of fitness is required. Located at the southwest end of Machu Picchu. It’s a longer trek, less steep and less crowded and also offers great views over Machu Picchu and surrounding area but takes about 1 hour 30 to the summit. 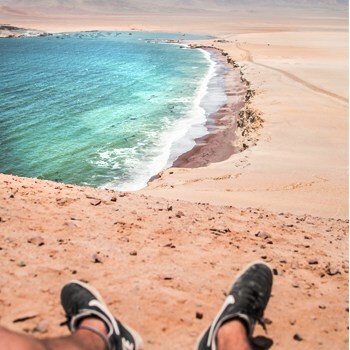 South America’s number one trek and one of the most popular treks in the world. 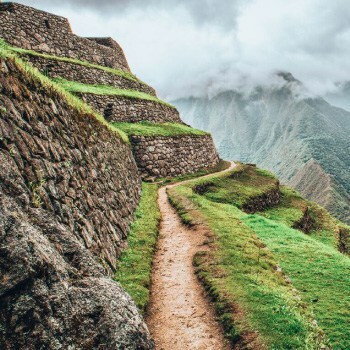 Offering 4 days of trekking along original paved Inca pathways, a variety of fascinating Inca sites and the beautiful scenery of the Machu Picchu national park, the Inca Trail is one of those things that everyone should do once in their life. The official Inca trail is closed every year for the month of February to give the trails some time to recover and carry out maintenance. It is strongly recommended to book your Inca Trail at least 5 months in advance as permits can quickly sell out. Prices range from $550 to $1550. Check tour operators, compare prices and book the trek here! A four day trek to Machu Picchu for the ultimate adventurer! 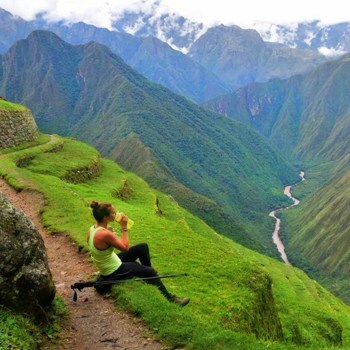 This action packed tour allows you to experience the astounding views of Machu Picchu after a three day adventure of hiking and biking through the mountains, jungle and a section of the ancient Inca trail, river rafting on the Vilcanota River, and flying through the air on zip-lines in the Santa Teresa canyons. One of the most popular trips to Machu Picchu with daily departures and usually plenty of availability all year round. Prices range from $200 to $350. Check out tour operators, compare prices and book the trek here! 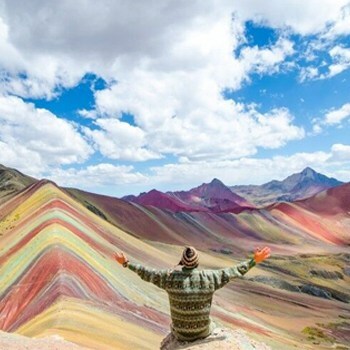 A true Andean crusade, this 4-day trek through the dramatic Cordillera Vilcabamba is a wonderful alternative for those who want to take a less-travelled and exceptionally beautiful route to Machu Picchu. Mount Salkantay is the 2nd largest mountain in the entire Cusco area (2nd only to Ausangate) and is said to be the “guardian” that stands between the mountains and the jungle. Crossing over a pass between the peaks of the immense mountains, Salkantay (6270m) and Humantay (6070m, you will get to see some spectacular views of the glacier and the sprawling valleys that they stand over. The National Geographic magazine has frequently listed this as one of the top 10 treks in the world. Prices range from $250 to $450. Check out tour operators, compare prices and book the trek here! An excellent alternative to the Inca Trail. 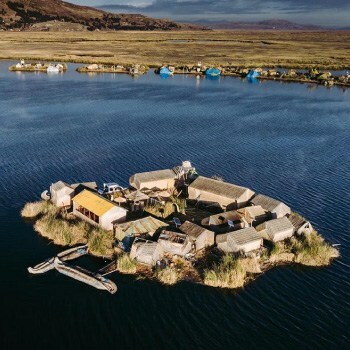 Taking you off the beaten track with visits to authentic Andean communities whilst being surrounded by stunning mountains, lakes and valleys. This trek combines amazing mountain scenery, glacier lagoons, cloud-forest valleys and authentic Quechua textile communities as well as a visit to the Lares hot springs. Departures are frequent but not daily as there is not the same demand as the other treks. Prices range from $200 to $400. For those short on time or who simply do not want to trek to Machu Picchu there are some alternatives that might be the best option. IMPORTANT NOTE: All treks to Machu Picchu start in the historic center of Cusco. If you’re still deciding how to get to Cusco, Peru Hop is the recommended way to get there. Find all their passes here! Taking a train to Aguas Calientes and spending the night there before an early start the next day – trekking up the mountain to the ruins or boarding the shuttle bus that leaves every couple of minutes. Taking one of the trains back to Ollantaytambo before being dropped back to Cusco in a mini-bus is a very popular choice for visitors. Prices range from $200 to $350. Forgoing a night in Aquas Calientes and leaving from Cusco at 3/4am to catch the first train to the town at the base of the mountain Machu Picchu is situated atop of. Take the shuttle bus up to the entrance and spend some hours exploring the complex before returning to Cusco in the same manner. Prices range from $200 to $300. Taking a bus from Cusco all the way to Hidroelectrica (the last train stop before Aquas Calientes) via Santa Maria on both paved and unpaved road. From Hidroelectrica it is a flat 3 hour trek alongside the train tracks and river to Aguas Calientes. 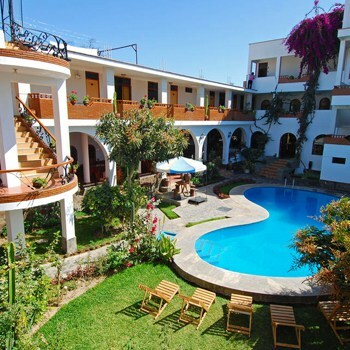 Spend the night there before an early start the next day – trekking up the mountain to the ruins or boarding the shuttle bus that leaves every couple of minutes. After visiting Machu Picchu descend the mountain and walk back along the train lines to Hidroelectrica before the long drive back to Cusco. This is the budget option with departures daily. This way of getting to Machu Picchu is not recommended given the dangers associated with the long stretch of unpaved road along a treacherous cliff edge. Prices range from $150 to $200. In Quechua, the language of the Inca’s, Machu Picchu means old mountain. Huayna Picchu on the other hand means young mountain. You can get your passport stamped for S/.1 at the entrance of Machu Picchu for an original souvenir. The building technique that the Inca’s are so famous for is called ashlar. Stones are cut in such a way that they fit perfectly together without even having to put mortar between them. Machu Picchu also served as an astronomical observatory. The sacred Intihuatana stone indicates the two equinoxes and twice per year, the sun sits directly over the stone creating no shadow. Because of erosion, only 500 people are allowed on the Inca Trail each day and in February, the trail gets closed for maintenance. WHAT TO BRING TO MACHU PICCHU? Your passport! You cannot enter without it! Your ticket to Machu Picchu and Machu Picchu / Huayna Picchu Mountain. Some money for a passport stamp (s/1), the toilet (S/1) and for souvenirs you may want to buy or for dinner or lunch at the restaurant (expensive). A camera (and maybe a selfiestick). A lunchbox and some snacks. Sunscreen and/or small foldable umbrella depending on the weather. WHAT NOT TO BRING TO MACHU PICCHU? Tripods are not allowed to the historical site. You can leave yours in the lockers outside. Professional camera’s are not allowed. Permits for professional camera’s are over $300 so avoid bringing a professional looking camera in. You cannot come to Machu Picchu with your travel backpack. Only smaller models are allowed so leave your backpack in Aguas Calientes if you’re stuck with it. You can pay a hotel a small amount of money to take care of it. Walking sticks are not allowed unless the person needs them. Only small foldable umbrella’s are allowed so avoid bringing a big umbrella with spikes. If travelling to Machu Picchu on your own, you will probably go by minibus or taxi (at least part of the way). They often drive dangerously on narrow roads on steep cliffs with hairpin turns. Accidents happen all the time so try to avoid travelling like this or at least make sure not to drive after sun down or during rainy season. Tour operators need two certificates, one from the city and one from the tourist board. Make sure they have one of each hanging in their office. Like all touristic sites, keep an eye on your valuable items. The Full South to Cusco pass is the best option to get to Machu Picchu without missing out on any of Peru's other hidden gems along the way. Why Bus Travel In Peru Is Beating Air Travel!